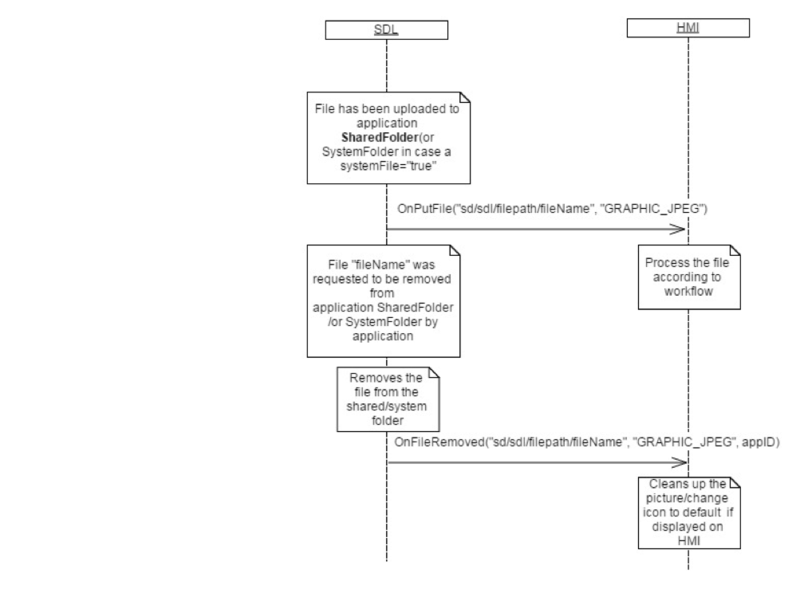 Inform the HMI that a file has been removed from a shared folder by an application. When a file is requested to be removed by an application, SDL will notify the HMI that the file has been removed. If the named file that was removed was an app icon, the HMI may want to reset the app icon it was displaying to a default app icon. SDL notifies the HMI about removing files only if the files were located in the HMI's shared folder.